This year, spring cleaning is something everyone is actually looking forward to doing. After a brutal winter, it feels good to finally get outside and set up the patio furniture, put away the sweaters and bring out the shorts. While you’re busy taking care of the house, why don’t you put your resume on the spring cleaning to do list? Even if you are not actively looking for a job, if you heed my advice and are always networking, a current resume is a mandatory part of your career toolkit. After all, if you are putting yourself out there, you never know when an opportunity – whether it is for a new job or a speaking engagement is going to find you! When someone asks for your resume, you need to provide it very quickly. Once people are settled in jobs, they rarely take the time to put their current job on their resume, and are often caught flat-footed by these requests. If you have to spend a lot of time updating it on the fly, there is a good chance that you will send something out that has a typo, or that doesn’t adequately represent who you are and what you are doing in your present job. Spring is a great time to make sure that your current position and accomplishments are fully and thoughtfully presented in your resume. Make sure that the stellar victory you just secured for a client, or the fact that you exceeded performance goals by 15% this quarter, are listed on your resume so that you can easily send it out when it’s requested for the bio section of the conference at which you are presenting, for the program at the awards ceremony where you are being recognized, for a conversation about joining the Board of an organization. 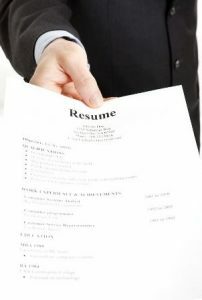 Faye Katz, Resume Writer for Jewish Community Services, has some additional ideas for spring cleaning your resume. Once you’ve tackled the bigger job of your resume, don’t forget to review some of the smaller, but also important details on your resume. Are you still using aol.com as your email address? If so, time to move to gmail. Set up an account now and start using that address professionally, so that you are not perceived as “out-of-date.” Don’t set yourself up to fall victim to the very real problem of unspoken, under-the-radar- age discrimination. Spend some time adding in any new industry presentations, awards, committees, board appointments, reported cases, or other relevant professional activities, and delete ones that aren’t as important to where you are heading in your career. Finally, have someone you trust give you feedback on how everything looks. Is there a good use of white space? Have you selected a reader-friendly font? Do they think the resume captures you well? Once you have all things in the place, cross this task off the list and reward yourself with a beverage on the patio.